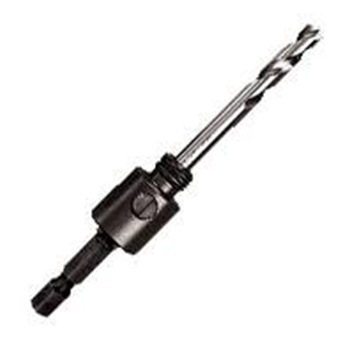 The Starrett A1 Arbor with 6.35mm (1/4 inch) high speed steel pilot drill and 8.75mm (11/32 inch) hex shank, fits hole saw diameters 14-30mm (9/16 inch - 1.3/16 inch). A set screw in the body allows for easy replacement of the pilot drill. Screw thread 1/2inch - 20.